›Carolines Treasures BB9296MAT Silver Pheasant Christmas Indoor or Outdoor Mat, 18 x 27 in. 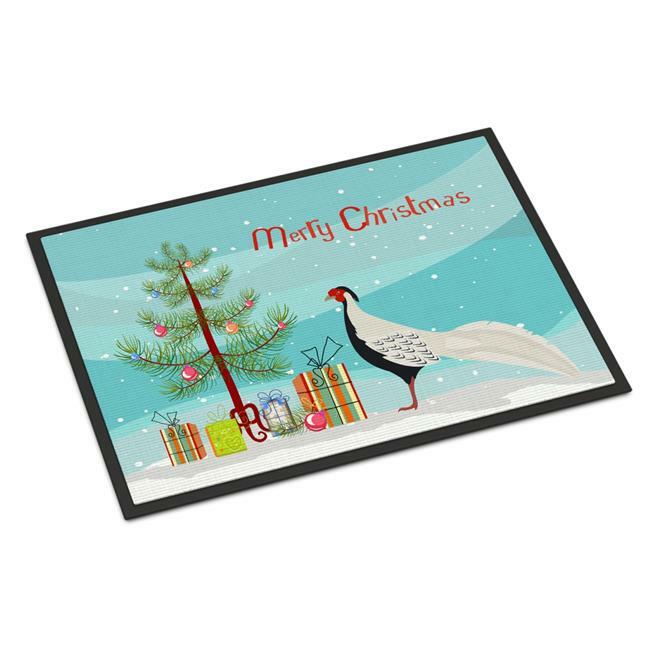 Carolines Treasures BB9296MAT Silver Pheasant Christmas Indoor or Outdoor Mat, 18 x 27 in. Indoor & Outdoor Floor Mat 18 inch by 27 inch Action Back Felt Floor Mat / Carpet / Rug that is Made and Printed in the USA. A Black binding tape is sewn around the mat for durability and to nicely frame the artwork. The mat has been permenantly dyed for moderate traffic and can be placed inside or out (only under a covered space). Durable and fade resistant. The back of the mat is rubber backed to keep the mat from slipping on a smooth floor. Wash with high pressure from your garden hose or with a powerwasher. Use cleaner that does not produce suds.